A collision between a lorry and a car is adding to problems for motorists passing through the roadworks on the A47 this morning, Wednesday July 6. 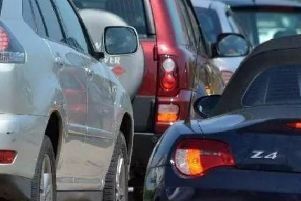 There are already long delays due to the ongoing roadworks on the A47, the A16 and the A1139 around Eye. The queues are not being helped by a collision which has blocked the B1443 Thorney Road in both directions. Traffic updates throughout the day here.